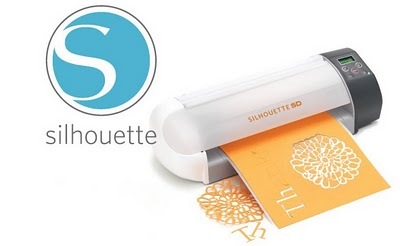 be sure to click HERE and win to enter your very own Silhouette Craft Cutter!!! And if you want a few more chances to win a Silhouette, some of my blog friends are giving one away this week too. 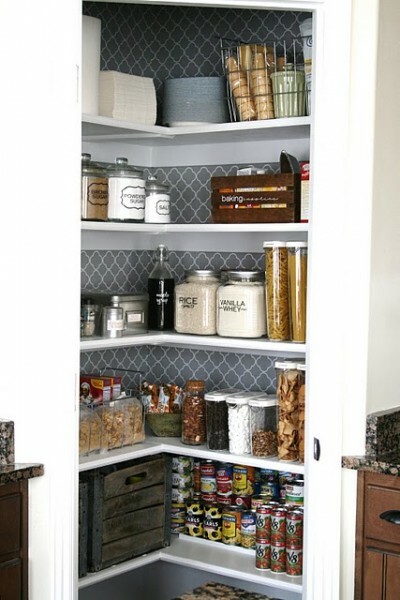 So I wanted to show you a little more inspiration from around blogland, and I can’t talk about pantry makeovers without including Shelley’s from House of Smith’s. 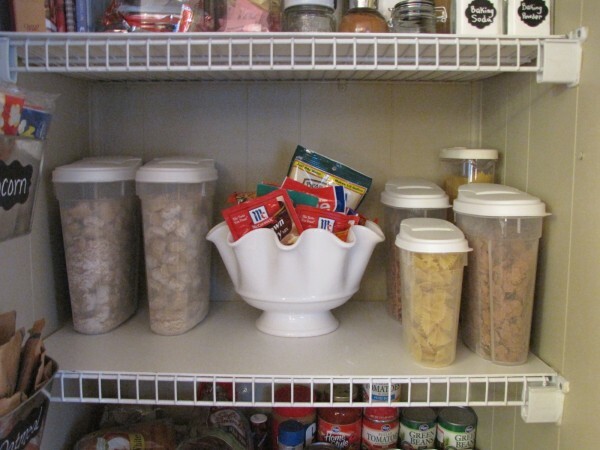 Click on the beautiful picture below to see how her amazing pantry makeover! 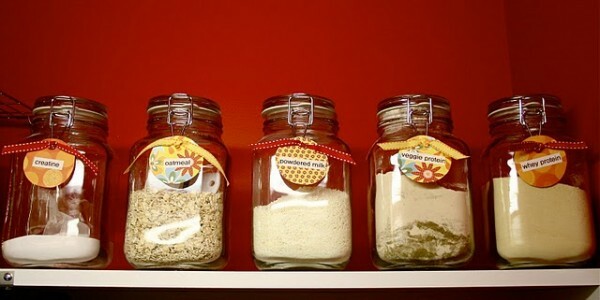 And I love Emily at DecorChick who made these “lazy susans” for her pantry. She shares the complete tutorial. Just click on the picture below to check it out. 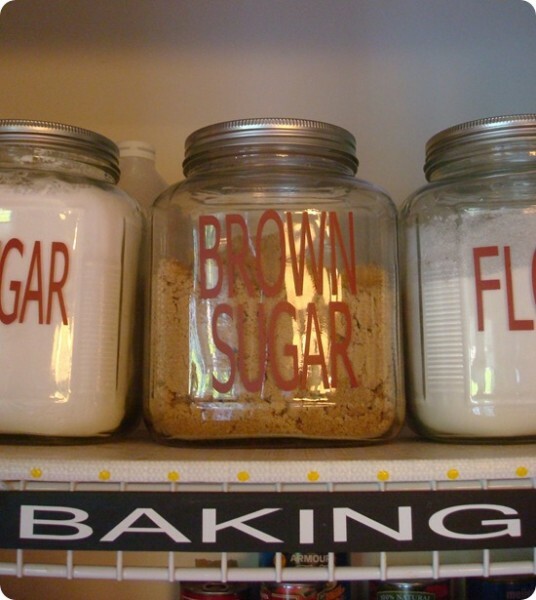 Beth, at Stories from A 2 Z, got into the Pantry Organizing fun. You can see her great makeover by clicking on the picture below. And you will enjoy seeing all of the amazing labels Sarah at Thrifty Decor Chick made for her containers using her Silhouette Machine. Sarah has another post called Decrapfication: The Kitchen where she shows all the nifty ways she has organized her kitchen. Click on the picture below to read it. Sarah is the Queen of organizing. She has a button on her side bar that will take you to all her organizational posts. It’s a must! 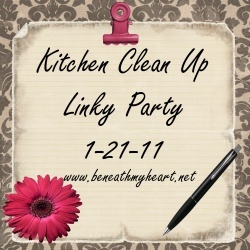 Don’t forget my Kitchen Clean-up Linky Party is this Friday, January 21st. 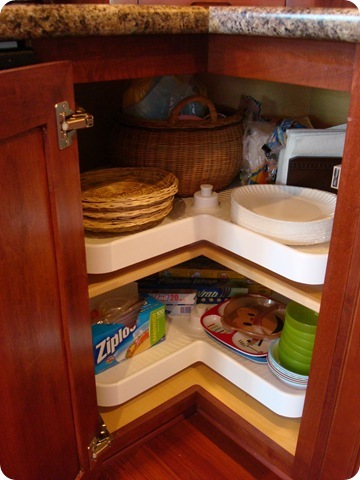 Remember, you can showcase ANY part of your kitchen you have organized. It doesn’t have to be the pantry! I need some inspiration in how to clean up my kitchen cabinets and drawers, so help me out!! Thank You for sharing all of your great ideas…I just stopped by the Silhouette website and think, I mean know that I would become totally OBESSED with this crafty tool! Oh the organizing possibilites and decor it would provide are endless! I am now a Public follower of YOUR BLOG!!! I just shared you and this fantastic giveaway with all my F.B friends! I’m enjoying seeing your organizational tips to inspire. I will just view others for now. My Kitchen will not be remodeled for some time and I think if you all saw it now you’d vapor lock. Grins. I can’t wait. I LOVE to organize more than anything! Oooo! I just found this! 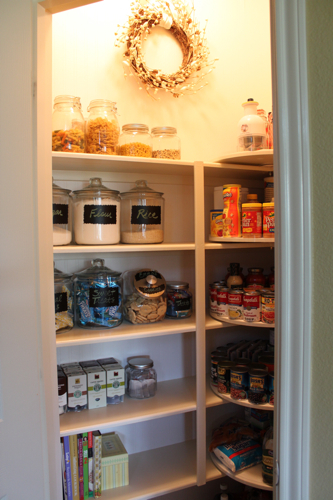 I just posted today my pantry makeover today…would love to know what you think! Love your blog! Have a super day! Have really enjoyed getting to know your blog. We are moving in 3 weeks, so can’t wait to use some of these tips in the new space…..in fact our “new” space would make your blog happy. It needs lots of renovating…so maybe I’ll start my own blog!! Not! I’ve also really enjoyed your sister’s blog to. Keep up the great blogging and inspiration!